Join us for Networking, Education and Brainstorming! 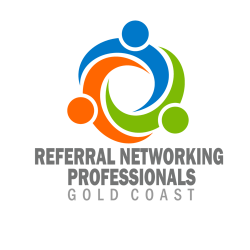 We are a group of local business professionals who meet regularly (fortnightly) in a positive and supportive business environment, to strengthen relationships in the local business community – and to help one another through the exchange of warm referrals and relationship introductions. Learn how to find new customers, get advice, get qualified referrals, improving your public speaking skills, networking tips & marketing training and how to avoid costly mistakes plus we will have an open Q&A session to help each other. Word of Mouth referrals are still one of the best ways to get a steady flow of new leads. Get educated on a variety of topics like: lead generation, marketing tips and many other categories plus we will have an open Q&A session to help each other. • Challenges – What is your biggest challenge in your business? Don’t forget to bring plenty of cards and your best elevator pitch. NOTE: This is not a breakfast but will include a coffee or tea in the below fee. COST is $11 paid in advance and online below.